Gutter Helmet Of Central Indiana, Inc. Comment: Gutter in front of house is not working properly. There is a wood siding that now has some water damage due to the bad spot of gutter. i am looking for a wuick fix by extending the gutter a few feet and repair the wood panel that is damaged. Comment: One end section has pulled away from the house. Indianapolis Gutter Cleaning & Repair Services are rated 4.75 out of 5 based on 1,014 reviews of 59 pros. 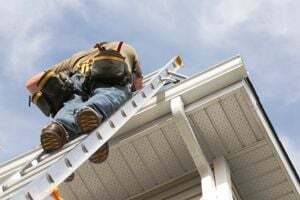 Not Looking for Gutters Contractors in Indianapolis, IN?